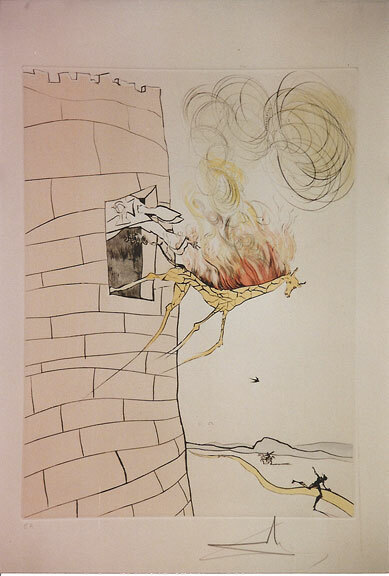 Salvador Dali was an eccentric Spanish painter that understood how the media worked and used it to its full potential. Dali’s name is synonymous with the Surrealist art movement. 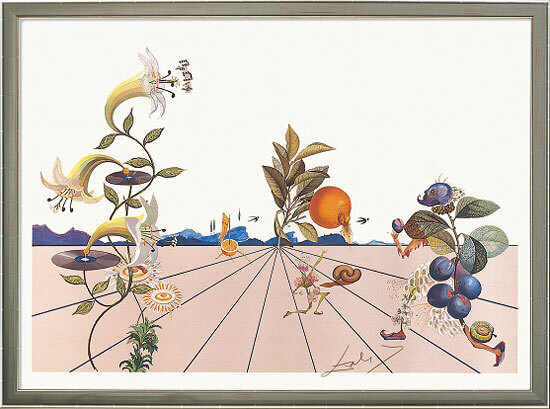 Dali was a prolific artist, creating more than 1500 paintings during his life time and many works in other mediums, including prints, drawings, sculpture, book illustration, and theater set designs. Salvador Dalí was born on the 11th of May, 1904 in the Spanish town of Figueres, Catalonia. His father “Salvador Dalí i Cusí” and mother “Felipa Domenech Ferres” provided Dali and his sister with a comfortable upbringing. The young Salvador Dali drew from an early age and was encouraged by his sympathetic mother. She died of cancer when the artist was just 16 though, and his father remarried the sister of his mother. Dali moved to Paris, France to pursue his career as an artist and to be amongst many of the most progressive artists of the time. It was here that Dali met Pablo Picasso for the first time, a fellow Spaniard whom he greatly admired. He also became involved with Andre Breton and the Surrealist art movement. Around this time he also created surreal works that would come to represent what Surrealism was to many people, with works like “The Great Masturbator” and the famous Dali melting clocks “The Persistence of Memory”. In 1929 Salvador Dali met his wife Helena Diakonova, a Russian immigrant that was already married and was more than 10 years older than him. Know as “Gala” she became Dali’s muse, lover, supporter and business manager. The couple were married in 1934 and she remained a major part of Dali’s life up until his death. 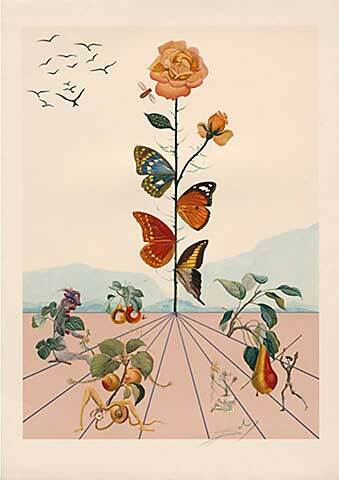 Salvador Dali had a falling out with the Surrealists over politics and Dali’s behavior. Andre Breton nicknamed Dali “Avida Dollars” and was expelled from the Surrealist movement. Dali was quoted as saying “Surrealism is me”.